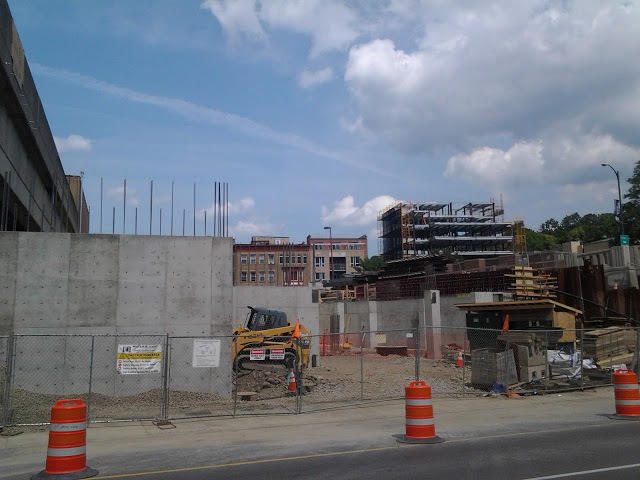 Over at the site of the new downtown Ithaca Marriott, the foundation has been dug and set, and the project is now about level with North Aurora Street. 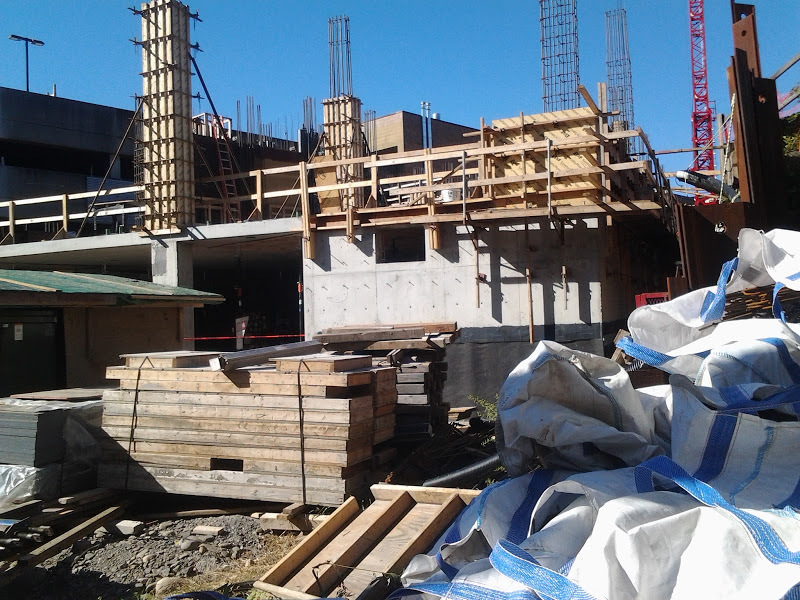 The rebar (reinforcing steel bars) that sticks out of the concrete footings will be used to tie-in the hotel’s walls as they’re constructed. Wooden forms are in place to provide rigidity and shape while newly-poured concrete hardens, and they give support to the rebar rods embedded in the concrete. 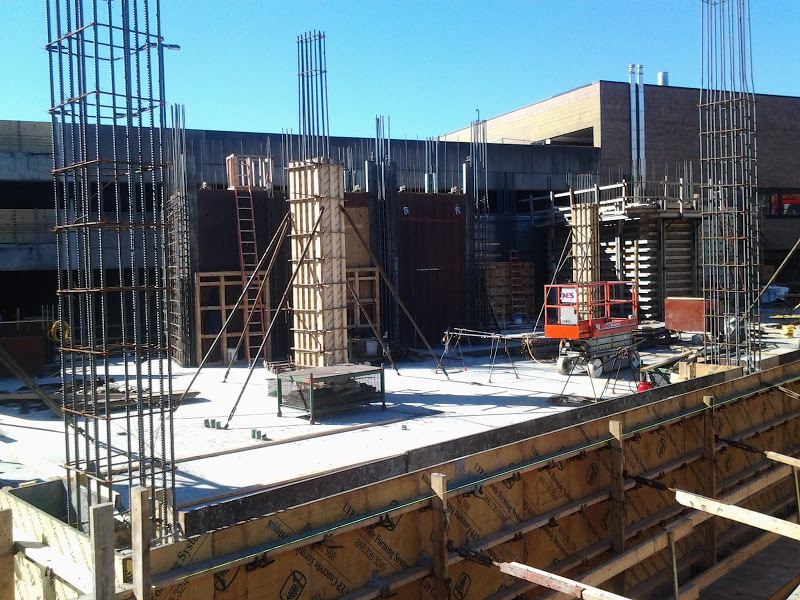 The forms will move further upward as more concrete is poured and cured. 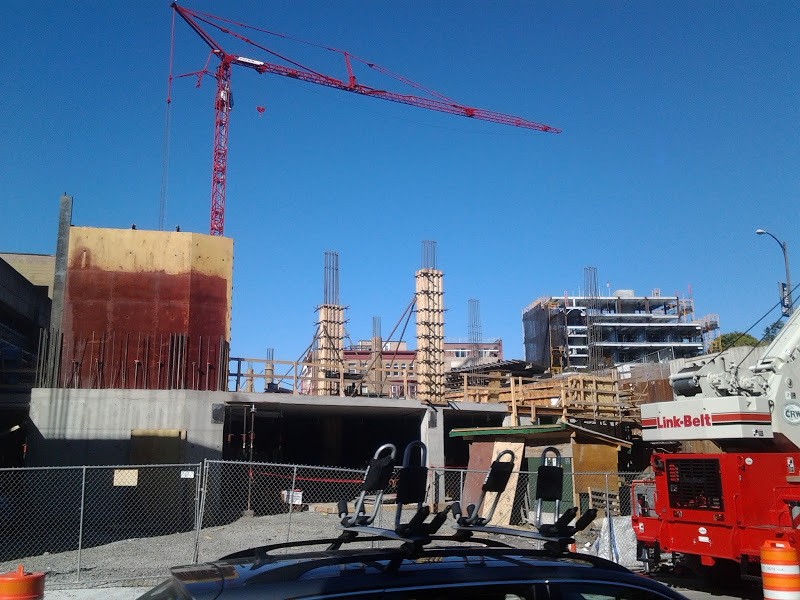 On the side closer to the commons, caisson tubes, massive open pipes, encase the rebar up to 30 feet below ground level. 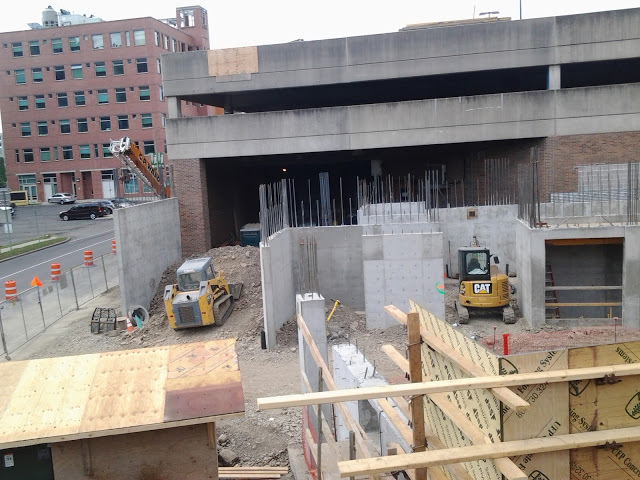 These will transfer the heavy load of the upper floors down to the bedrock below, providing structural stability for the future 10-story hotel. 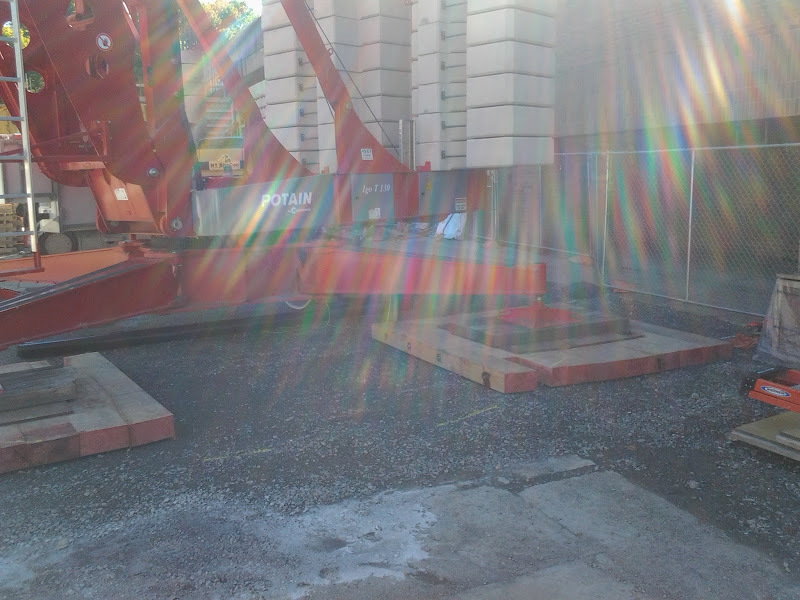 Some of the materials have been supplied by UFP Concrete Forming Systems. The foundation walls vary in thickness depending on the weight they’re designed to hold. 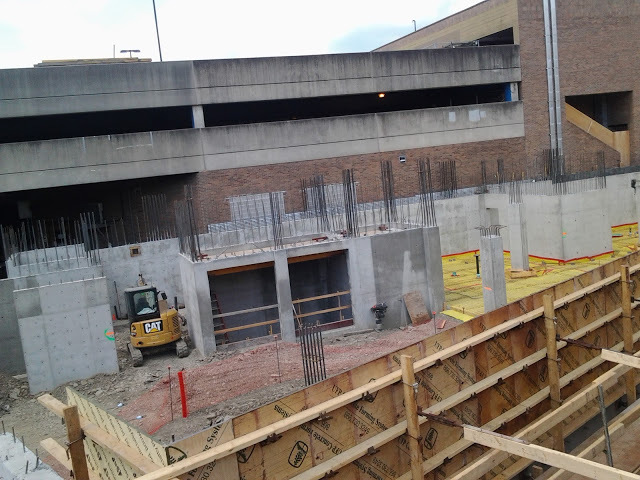 The newly-poured section next to the Green Street garage will hold the elevator shaft, stairwell and space for utilities. 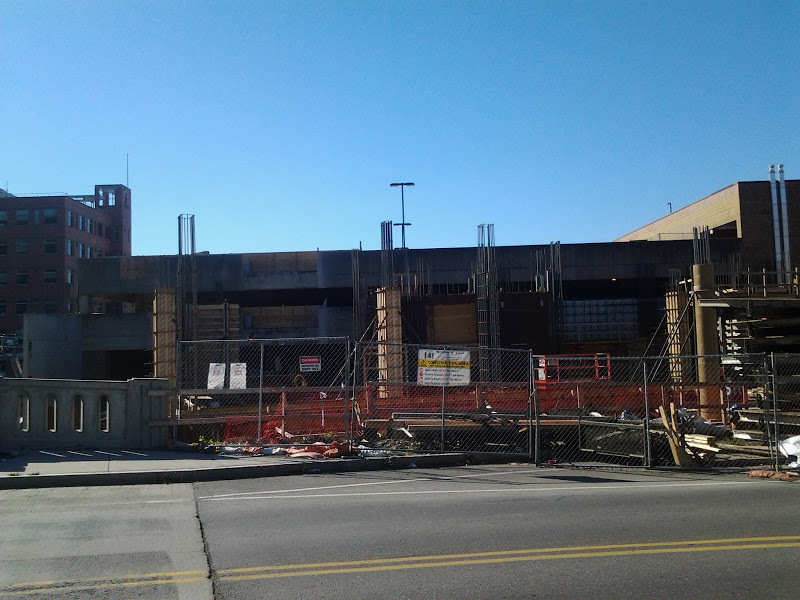 Contractor William H. Lane of Binghamton has a crane on site, and steel erection above the foundation walls will start fairly soon from the looks of it. 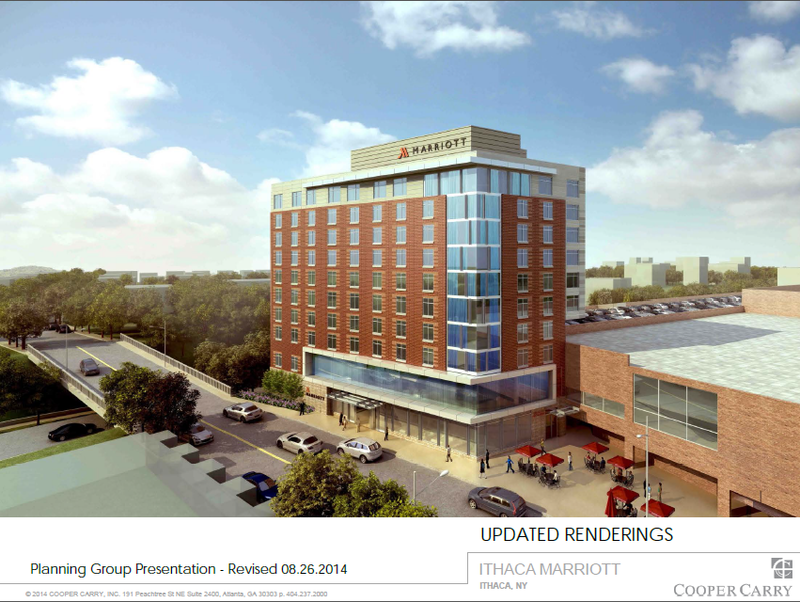 The 159-room hotel should open next summer if all stays to schedule. 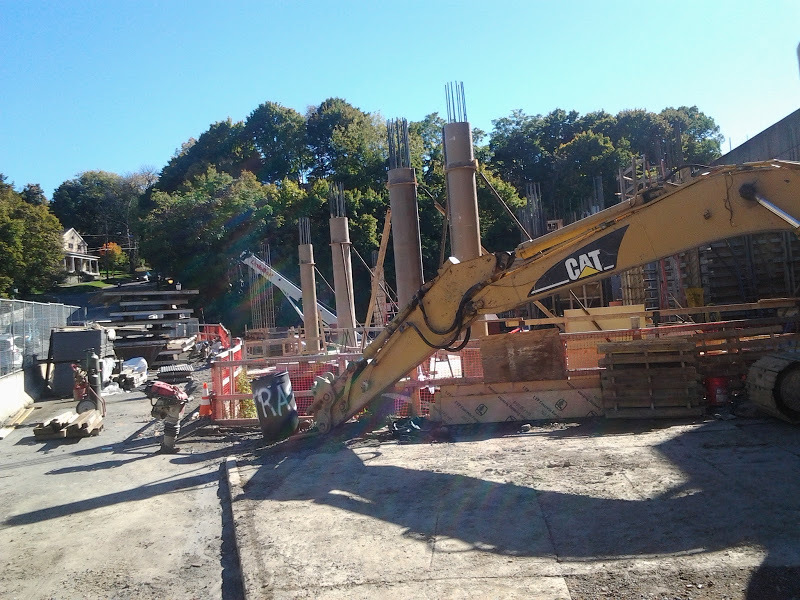 This project will have post tensioned slabs, which are not all that common in the northeast except for bridge decks. A unique design element is the inclusion of stiffening joists within the walls to minimize the “bounce” guests might otherwise experience. Nobody wants to feel the floor flexing under foot while staying on the 10th floor. 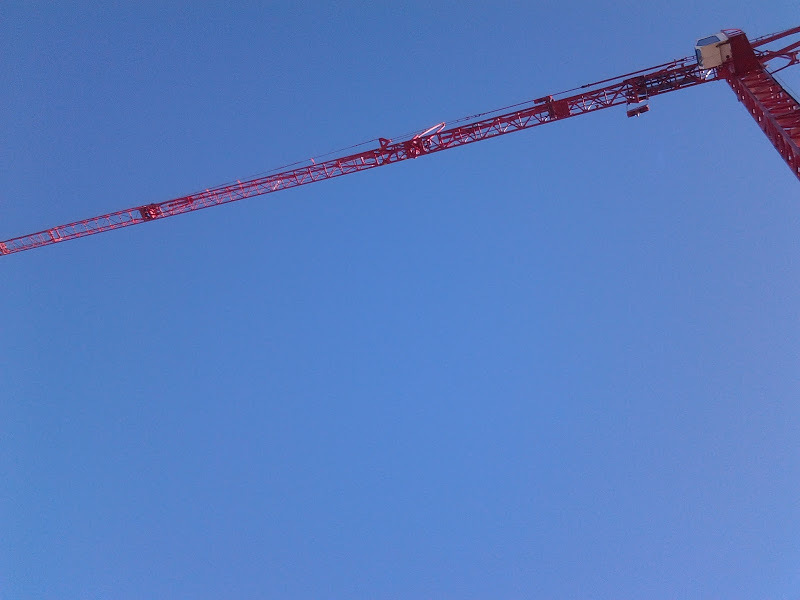 A pump truck can’t reach the upper level floors, so a concrete pump will be constructed to get the concrete up there. The last time that was needed in this town was when? Seneca Place maybe? 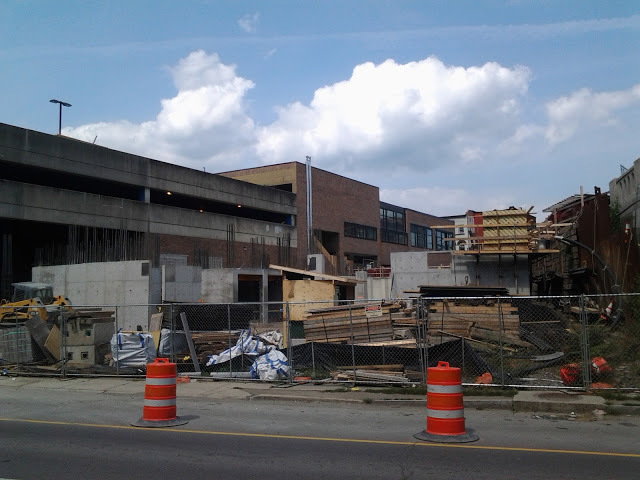 The cantilevered design beginning on the fifth floor is just awesome. I mean come on. A neat solution to a space problem and I can only guess how complex the engineering that is required to get this done. Sounds like quite the engineering marvel. Thanks for sharing! I’m anxious to see this progress through to completion. Maybe folks will realize SST will not stop the Earth (or city) from rotating when this “tall” building is an anchor for the east side of the Commons. Thanks for the update. For what it’s worth, I feel like the height argument has been weakened – the mayor says his opposition has nothing to do with the height, and even if SST fades out, he might still have enough cachet to keep the CBD-120 in place for other potential developments. Or at least, I hope. There are hardly any other locations in the city so appropriate for a taller building. My comment was more in response to the recent Voice article (Historic Ithaca official) which seemed to focus on the height.